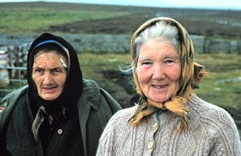 Scottish Gaelic people, or Scots Gaelic, are sometimes referred to as Gaelic, and their language is native to Scotland. A majority of Scottish Gaelic reside in the United Kingdom. Scottish Gaelic is a Goidelic language of the Indo-European language family originating in Scotland. In Europe the language is usually referred to as Scottish Gaelic. The term Scottish Gaelic is often used when English speakers discuss the relationship between the three Goidelic languages (Irish, Scottish Gaelic and Manx). For Scottish Gaelic people, their religious identity runs the gamult of adhering to Roman Catholicism, the Church of Scotland, or being Presbyterian. However, the majority are often practicioners of their religious faith and are basically non-religious. Pray evangelicals who reside near Scottish Gaelic will become their friends and share the difference Christ makes in their lives. Pray God will work in the hearts and minds of Scottish Gaelic to understand that an abundant life is found in following Jesus Christ.